The Society very much welcomes investment and jobs coming to the Town at this difficult time. However following the approval of the revised planning application by Wetherspoons for change of use of 47 and 48 St Thomas’ Street to a public house in the building immediately adjacent to the parish church, the Lymington Society has received many expressions of concern both from its members and non-members alike. Concern has been raised that the meeting at which the decision was taken did not fully consider the valid planning reasons for which the Council had earlier refused a near-identical application. Nor did it fully consider the Environmental Health Officer’s report concluding that the proposed change of use would result in a substantial loss of amenity for nearby residents, or take account of the unanimous opposition of the Town’s elected Councillors, or of the unprecedented number of objections registered during the consultation stage. These concerns have now led to the Society taking advice as to the legality of the decision which has been made. That advice is that the majority decision made by the Development Control Committee, is legally flawed because the decision did not take account of the earlier unanimous decision to refuse the application. The Society has now written to the NFDC urging them to set aside the previous decision and to re-assess the application afresh taking full regard for the valid planning reasons set out both in the previous decision and in the Planning Officer’s recommendation for refusal. The Society and those who oppose the application, believe that a further meeting would give Councillors a fresh opportunity to take into account the strong views of the Town against the proposal. In addition it would give them the chance to take further note of the unanimous refusal of the earlier application and recommendation of the Planning Officers for refusal together with the additional report of the Environmental Health Officer who also recommended refusal. The Society hopes that those Councillors from outside the town who voted in favour of it, against the opinion of Lymington’s elected representatives from both the Town and the District Council, will reconsider their position or at least abstain, to allow Lymington to have a fair chance of making its own decision as to the introduction of a large “destination” public house in a location which so many people feel is the wrong place. The Lymington Society is concerned that the decision of the Development Control Committee to approve the planning application by Wetherspoons for change of use of 47 and 48 St Thomas’ Street was taken on the basis of sentiment regarding the company concerned, rather than on the extremely important local planning issues at stake and against the recommendation of the Town’s elected representatives. In addition the Committee failed to properly take account of its previous unanimous refusal for a virtually identical application, or to give sufficient regard to the Environmental Health Officer’s recommendation for refusal due to the “substantial loss of amenity” likely to be suffered by nearby residents. The Lymington Society, which is often described as a watchdog on environmental and planning issues, feels that it has a duty to ensure that the decision on the change of use application is fairly arrived at by the Development Control Committee and that the concerns of the Lymington Councillors who had taken the trouble to vote against this proposal on a democratic basis, together with the over 900 people who had written letters of objection, have been properly taken into account. The Society’s clear advice is that the decision by the Development Control Committee is legally flawed as it failed to properly consider their previous unanimous refusal for a nearly identical application and that a legal challenge to the decision could be successfully mounted. This advice confirms the feelings of many who attended the meeting that it was not conducted fairly. We are therefore urging the NFDC to set aside this legally flawed decision and to allow the Development Control Committee to debate this proposal again. A new meeting should this time take full account of all the important policy issues which led to the previous unanimous refusal, together with the concerns raised in the Environmental Health Officer’s report arising from the severe impact of the change of use on nearby residents in St Thomas’s Park. 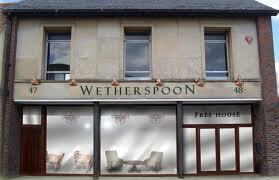 This entry was posted in Campaigns, Wetherspoon by lymingtonsociety. Bookmark the permalink.